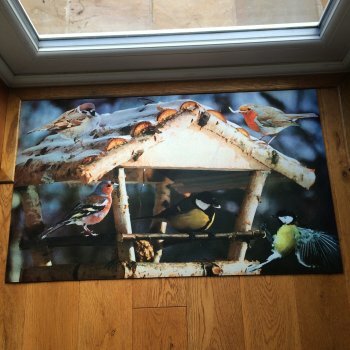 This decorative doormat has a lovely bird feeder design and is made from recycled materials. The doormat is easy to clean as you simply wipe down or rinse with a hose. Indoor use only.